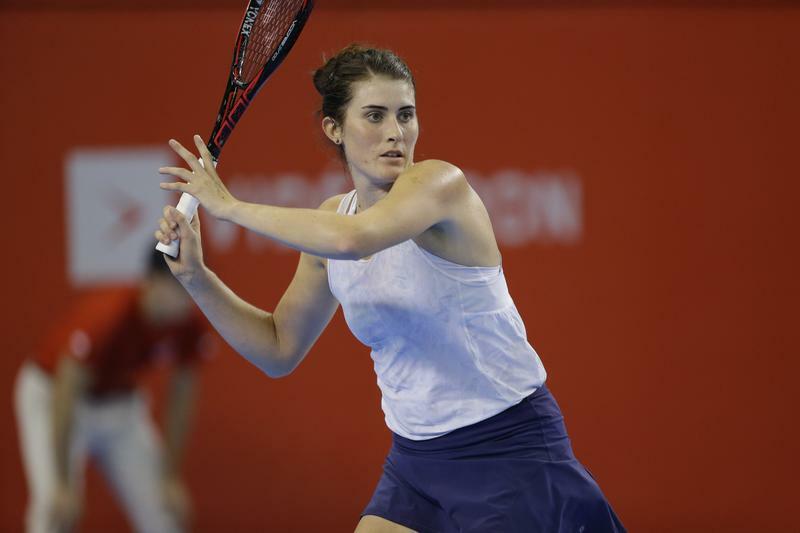 Eight years ago, Rebecca Marino was one of Tennis Canada’s finest products. Her thunderous serve helped her rank in the top 38 of all female tennis players in the world. The epitome of her career was the 2011 season in which she dueled against tennis titan Venus Williams in the US Open. She lost the match 6-7, 6-3 — but the experience is what stays with her. “It was my first main draw Grand Slam, and so to get a chance to play one of the top players and one of the best female players of all time was pretty surreal,” she said. But at the age of 22, after five years of touring — constantly jet setting, country-to-country — Marino had had enough. What seemed like everybody’s dream took an exorbitant toll on her physical and mental well-being. Marino formally announced her retirement from professional tennis in 2013. At the time, Marino was no stranger to social media, interacting with fans frequently. Following negative results, those social media comments often turned nasty and media reports cited them as the cause of her step away from the spotlight. Marino, however, maintains those interactions had little to do with her mental state and decision to step away. Rather, it was the culmination of a physical and mental burnout from her high- level play at such a young age and an inexperience in balancing her priorities. “People sometimes misinterpreted when I spoke about social media, they thought that was why I retired,” she said. Marino decided to take an extended leave of absence to collect her thoughts. But she was always careful to keep the doors open for a potential return in the future. Away from professional tennis, Marino decided to pursue a post-secondary education in her hometown of Vancouver. Living down the road from UBC — where she started playing tennis as a child — applying to her local university wasn’t a hard choice. Unlike a typical first-year student that spends months carefully crafting an application, Marino scraped hers together around the admissions deadline in 2013. Academically, Marino majored in English literature in order to help articulate arguments — perhaps paving the way for a future in law. That being said, she never spent too much time away from sports. An outlier in a family of rowers — her uncle won gold for Canada in 1964 — Marino found herself on the receiving end of recruiting by UBC women’s rowing head coach Craig Pond. So in her first and second years, while also coaching at the UBC Tennis Centre, Marino avoided running into him at all costs not wanting to commit herself to a ‘foreign’ sport. Pond would outlast her, though. Eventually worn down, Marino finally gave rowing a serious try and ended up racing in varsity eights in 2015. Ironically, what she had been avoiding at UBC for so long was exactly what she came to university for: a sense of camaraderie. Individualized sports, such as tennis, often fail in their very nature to bring out the feeling of collective teamwork. Competing in a team sport allowed Marino to dedicate herself to her teammates and lean on them when she needed help. “You’re working together and it’s not just you. You build each other up and you don’t take the knock-down as hard as if you were alone,” she said. Life balanced and identity found, Marino put school on hold in 2017 to reignite her professional tennis career after a four-year hiatus. Throughout her recovery, she credits her family, friends, teammates and Tennis Canada for supporting her journey back to the world stage. Though she didn’t feel the need to use them, Marino also acknowledged the vast amount of mental health resources available at UBC. Marino plans to play in all four 2019 Grand Slams, most recently competing in the Australian Open in January. After re-introducing herself at the International Tennis Federation, she is currently ranked 204th in the world. In the less immediate future, she’s mostly unsure of what’s to come, operating on a day-at-a-time basis. One thing is for certain, however: she wants to graduate with her degree soon. At any rate, she won’t allow herself to get sucked into the hardships of a professional sports schedule again. She’s learned her lesson and spends a healthy amount of time off the court to balance the commitment.